It's that time of year! 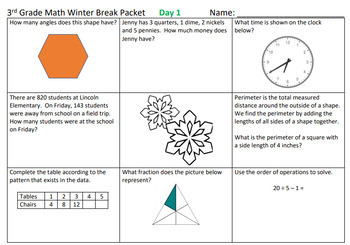 Help your students keep their math skills sharp over the long winter break. 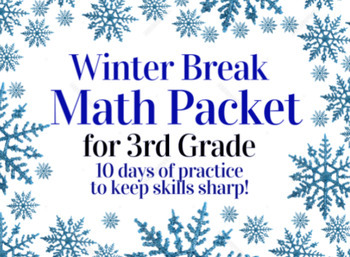 This packet includes 10 days worth of work to help your students practice basic skills: adding and subtracting multi-digit numbers, multiplication and division facts, basic fraction knowledge, rounding to 10s and 100s, elapsed time, counting money, word problems, and more. 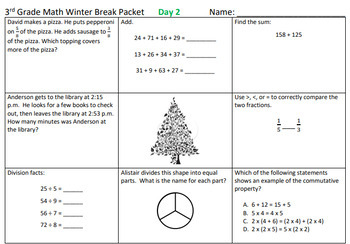 An answer key is included. As always, if you like this product, please leave feedback/review, and follow my store. Happy holidays!